Most architectural practices will have heard about R&D tax credits by now. Unfortunately, I find there is widespread fear about asking for money from HMRC in case this has a negative impact on the wider tax relationship. In this insight I’m going to provide some honesty about the risks and benefits of making a claim. In particular, arming you with the facts you need and explaining how they can impact your relationship with HMRC, which is something the majority of architects I meet seem to be confused about. Many advisors tend to focus on the potential benefits of the credit. I’m more inclined to demystify it and instead arm architectural firms with the facts to make a sensible assessment whether the scheme applies to them. 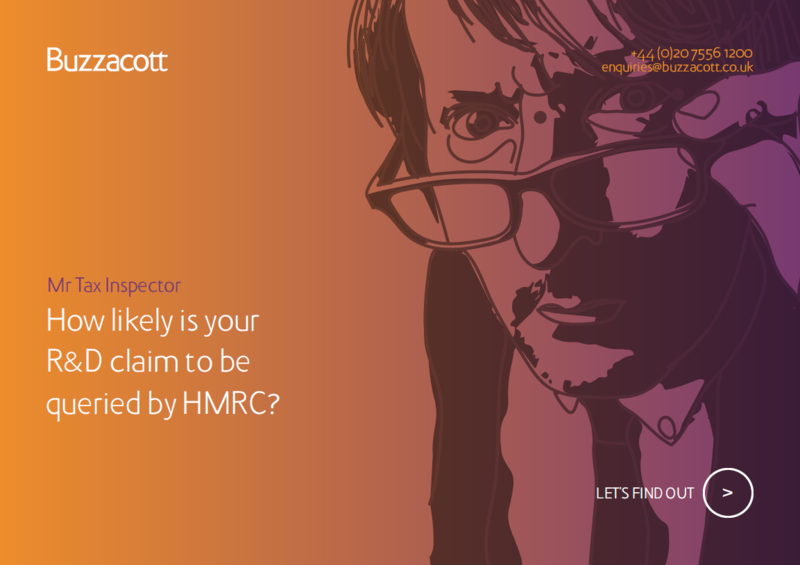 Will making an R&D claim impact on our relationship with HMRC? HMRC and UK Government are fully supportive of the R&D tax credits scheme and see it as a major part of the wider industrial strategy to boost productivity and increase R&D investment within UK PLC. But does HMRC paying you money impact your wider tax relationship? The R&D scheme has a defined set of rules about the types of projects and costs that can be claimed. Submitting a claim with an error or mistake will impact your HMRC relationship and delay payment of any refund. Errors can cause far more serious issues during any due diligence process as they have the potential to generate concerns with HMRC that there may be other issues to be uncovered. As the corporation tax return is self-assessment this error will be the responsibility of your firm irrespective of whether you have engaged an advisor to prepare the claim. HMRC are fully supportive of scheme and have been actively promoting R&D tax credits to smaller firms. Therefore, a well prepared claim that helps an Inspector understand why the work is claimable will be gratefully received as it saves time and effort within HMRC to process the claim. The key take away from this is that any firm must understand the guidelines and the full details of any claim being submitted. If you engage an advisor it is best to work with someone who is open and transparent about the claim they are preparing so there are no nasty surprises if you receive a query from HMRC. Download our free Mr Tax Inspector guide to find out how to improve your R&D claims and keep HMRC on side. What are the key risks I should be aware of? There are restrictions for smaller firms claiming qualifying R&D on work that has been funded or subcontracted to them. This work should be claimed under the less lucrative large company scheme. However, what constitutes work undertaken at the risk of the claimant firm, as opposed to subcontracted to them, is complicated to determine and HMRC may audit this aspect of the claim to understand how this distinction has been determined. The other area of concern for HMRC is the interaction between LLP and limited company entities. I’ve heard that an LLP cannot claim? That is correct. Any claimant company must be subject to corporation tax. Firms must be careful when considering splitting activities between LLP and limited companies to access R&D tax credits that they ensure there is substance to the arrangement. As many firms have seen with limited companies as partners within an LLP structure HMRC is concerned about the interactions between LLPs and associated limited companies. In addition setting up a complex company structure purely to access the R&D tax credits might fall foul of the anti-avoidance legislation. Who would want to trigger concerns like these? This is an area where firms should seek a range of opinions before transitioning to or from an LLP structure. Sounds like a lot of effort – is it really worth it? The benefit for a claim submitted under the SME scheme will be between around 27% of qualifying expenditure depending on the rate of corporation tax in the claim period. If this benefit is compared to the typical profit per project within your firm it is clear that investing time and effort to correctly prepare an R&D claim will be highly beneficial to the business. In general we tend to find that firms significantly underestimate the range of the projects that could qualify and dismiss making a claim too quickly. We are specialists in supporting small to mid-tier architects. We have a detailed understanding of what it takes to start and grow a practice, and appreciate the burden of tax and reporting requirements. Our aim is to relieve this burden by providing tailored advice on tax structuring, planning and compliance. We are passionate about helping our clients make the right decision in relation to submitting an R&D claim as this scheme can help them plan and invest for the future.